From October 2nd to 6th, 2017, CISDI attended AMB Week 2017, the largest event focusing on metallurgical technologies organized by Associação Brasileira de Metalurgia, Materiais e Mineração (ABM) of Brazil, and made four presentations to the audience in São Paulo, Brazil. This event drew a lot of prestigious local steelmakers and world-known metallurgical plant builders. CISDI, the only Chinese exhibitor in the event, by sharing the same venue with other well-known metallurgical engineering companies like SMS, Primetals, Danieli, PW, Kuttner, demonstrated the strengths, competence and bearing of a Chinese company being the front runner in the “National Team” of China for metallurgical construction. In the technology forum, CISDI gave presentations on high-efficiency, low-consumption blast furnace technologies, short-process EAF steelmaking technology developed by CISDI, shared with the audience the experiences in their successful applications in China. 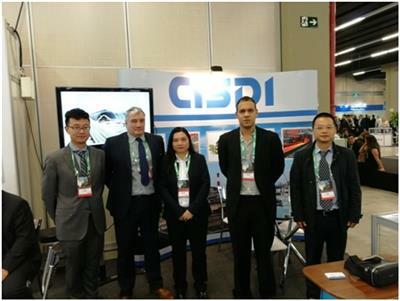 The promotion of CISDI system solutions with related core equipment, process technologies provoked active responses from the Brazilian steel industry. 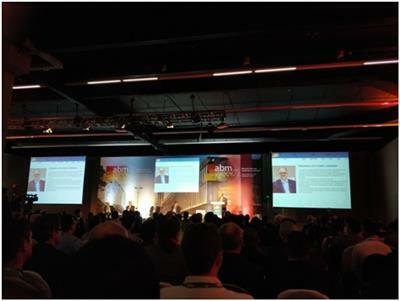 The exhibition and presentations make CISDI better known to the Brazilian market. Associação Brasileira de Metalurgia, Materiais e Mineração (ABM), founded in 1944, is Brazil’s largest association of metallurgical technologies and industry. The yearly ABM Week organized by ABM has become the largest technology forum and exhibition of metallurgical industry in Latin America.